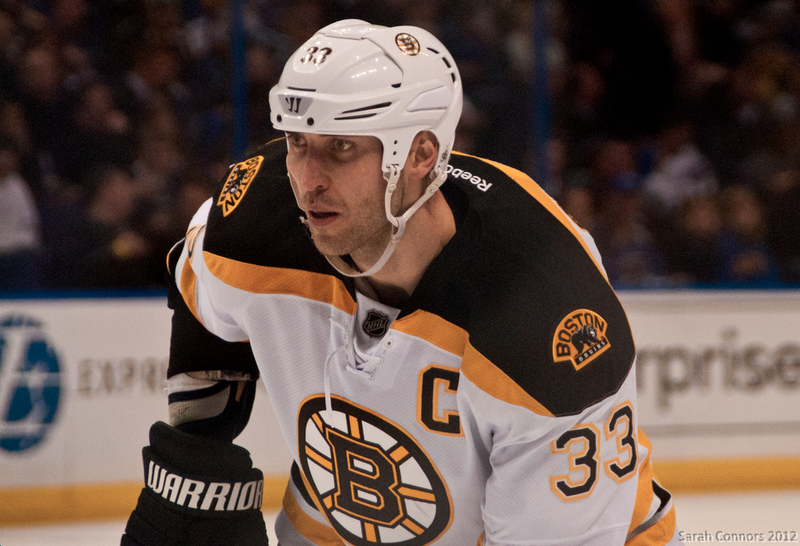 “Zdeno Chara 2012” by Sarah Connors. Licensed under Public Domain via Commons. This is the fourth part of a five part series. Check out Part 1, Part 2, Part 3, Part 5 here. You can view the series both at Hockey-Graphs.com and APHockey.net. So now, four parts into this five part series, is probably a good time to discuss my original hypothesis and why I started this study. As I mentioned in my previous post, baseball has already gone through its Microscope Phase of analytics, where every broadly accepted early claim was put to the test to see whether it held up to strict scrutiny, and whether there were ways of adding nuance and complexity to each theory for more practical purpose. One of the first discoveries of this period was that outperforming one’s Pythagorean expectation for teams could be a sustainable talent — to an extent. Some would still argue that the impact is minimal, but it’s difficult to argue that it’s not there. What is this sustainable talent? Bullpens. Teams that have the best relievers, particularly closers, are more likely to win close games than those that don’t. One guess that I’ve heard put the impact somewhere around 1 win per season above expectations for teams with elite closers. That’s still not a lot, but it’s significant. My question would be, does such a thing exist in hockey? Of course, there are no “closers,” strictly speaking. But there are players who close out games more often than others, and there are players whom coaches trust in late game lead-protecting situations more than others. Does a team with players who thrive in such situations have a higher chance of exceeding their expectation? The first step is compiling a data frame of ice times in lead protecting situations. I chose the final 10 minutes of games, in situations in which the team is up by one goal (note: everything in this study is at 5-on-5). That was arbitrary, but I felt it was a good encapsulating of situations in which a coach is most likely to put guys onto the ice that he trusts in defensive situations. 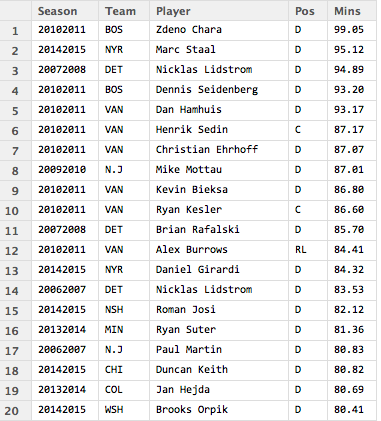 Tomorrow, we will look at whether this connection actually exists, but for now, take a look at the list of leaders per season, and for every season combined since 2005-2006, of players coaches trust the most to protect one-goal leads.